Concerta is the brand name of a medication called methylphenidate. This drug falls into the broad category of stimulants and is a medication that accelerates various processes of the brain and body. Currently, methylphenidate is only prescribed to treat attention-deficit/hyperactivity disorder (ADHD) and sleep problems like narcolepsy. Concerta, specifically, is an extended-release tablet taken once daily and used primarily for the treatment of ADHD in children, adolescents, and adults 6. When taken as directed, Concerta can effectively manage the conditions it is meant to treat. However, it is a Schedule II drug with a high potential for abuse and addiction. In fact, Concerta produces effects similar to those of other addictive stimulants like methamphetamine and cocaine 7 and is particularly addictive when taken without a prescription, taken at higher doses than recommended, or taken via an alternate method (e.g., crushing and snorting). If your Concerta use has spiraled out of your control, consider getting help in a formal detox treatment center. Psychosis, when the drug is used in binging patterns. Concerta abuse can lead to a medical emergency. If you believe that you or someone you know has overdosed on Concerta, call 911 immediately and wait for medical professionals to arrive. What Are the Long-term Consequences of Concerta Abuse? Intravenous effects, such as track lines, puncture marks, abscesses, or blocked blood vessels (due to fillers in the pills). Increased risk of contracting HIV, hepatitis, and tuberculosis. Increased risk of injury or arrest due to erratic or psychotic behavior. Lack of energy with extreme fatigue. Using for a long period of time. Ingesting the medication in ways other than intended. Another factor that influences the severity and duration of withdrawal symptoms is the mental health of the individual withdrawing from Concerta. 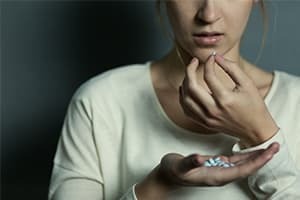 Since the drug can trigger feelings of anxiety and panic, people with pre-existing anxiety disorders may have symptoms that are more intense or longer in duration. Professional detox programs will provide a level of safety and efficacy that you cannot duplicate at home. How the drug is ingested. How much of the drug is used. Many individual differences will exist due to unique ways that a person metabolizes Concerta. In most cases, though, effects of Concerta withdrawal and detox will begin with a day or two of the last dose, with physical or psychological effects lasting days, weeks, or months after last use 1, 2, 5. These unwanted effects can be long-lasting because Concerta abuse can cause or uncover issues ranging from anxiety to underlying cardiac issues. Substantial meals and plenty of fluids to counteract hunger and dehydration. A comfortable place to rest for those that need increased sleep. A safe environment for those that are experiencing high levels of aggression, violence, or depression with suicidal thoughts. Connection to follow-up treatment and encouragement to continue care. Whether it is inpatient or outpatient, short- or long-term, social or medically supervised, professional detox programs will provide a level of safety and efficacy that you cannot duplicate at home. Staff at these centers understand how to detox from Concerta safely and comfortably. Do I Need Concerta Detox? Do my relationships seem more chaotic or conflicted? Do I seem more depressed, irritable, or anxious? Do I show declining interest in previously enjoyed activities? Have I seen a change in my usual activities or people I hang out with? Have I been spending more time talk about, thinking about, or using Concerta? Have I tried to stop with no success? Have I been doing unethical or illegal things to get more? Answering “yes” to these questions might signify that addiction is playing an active role in your life. Visual disturbances like blurred vision. Manic symptoms such as grandiosity and aggression. By engaging in treatment early, you can avoid experiencing the progression of these symptoms often seen with extended Concerta abuse. Detoxing in a medical or social program can ensure you have the needed support to stop using and avoid relapse. 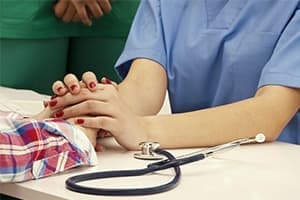 It also serves as a connection to continued treatment, which will be essential for many people looking to find sustained recovery. Detoxing under supervision also helps to ensure that any issues — whether medical or mental health-related — are addressed professionally to mitigate any dangers and keep you safe. Mental health counseling – Addresses the mental health concerns that influence Concerta abuse. Treatment can aid symptoms of ADHD with behavioral techniques. Substance use counseling – Available in individual, group, or family sessions to address relapse prevention and healthy living skills. Support group meetings – Helps recovering individuals expand their support system and engage in sober activities. Alternative housing options like sober living – Provides a sober place to live for those transitioning out of treatment. Morton, W. A., & Stockton, G. G. (2000). Methylphenidate Abuse and Psychiatric Side Effects. Primary care companion to the Journal of clinical psychiatry, 2(5), 159-164. Substance Abuse and Mental Health Services Administration. (1999). Quick Guide for Clinicians: Treatment for Stimulant Use Disorders. U.S. National Library of Medicine. (2017). Methylphenidate: MedlinePlus Drug Information. Drug Enforcement Administration. (n.d.). Drug Fact Sheets. U.S. National Library of Medicine. (2017). Methylphenidate.